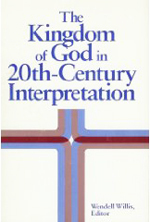 “The Kingdom of God in the Gospel of Matthew.” The Kingdom of God in 20th-Century Interpretation. Edited by Wendell Willis. Peabody, MA: Hendrickson Publishers, 1987. My first professional publication was part of a collection of papers originally presented at the Central States Regional Meeting of the Society of Biblical Literature in Kansas City, MO, on April 1, 1985. 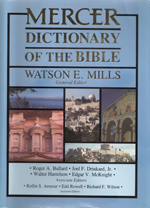 “Lord in the New Testament,” “Messiah/Christ,” “Hypocrisy,” and “Jude.” Mercer Dictionary of the Bible. Macon, GA: Mercer UP, 1990. Four years in the making, the Mercer Dictionary of the Bible includes 1500 articles on biblical books and characters, significant biblical concepts and terminology, as well as articles on the latest methods and theories developed for their interpretation. Attention is also given to documents discovered at Qumran and Nag Hammadi, as well as to the New Testament Apocrypha and early patristic texts. I was asked to contribute two large and two small articles to the dictionary. 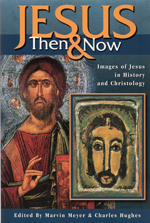 “Jesus in Process Christology.” Jesus Then and Now: Images of Jesus in History and Christology. Eds. Marvin Meyer and Charles Hughes. San Antonio: Trinity Press, 2001. 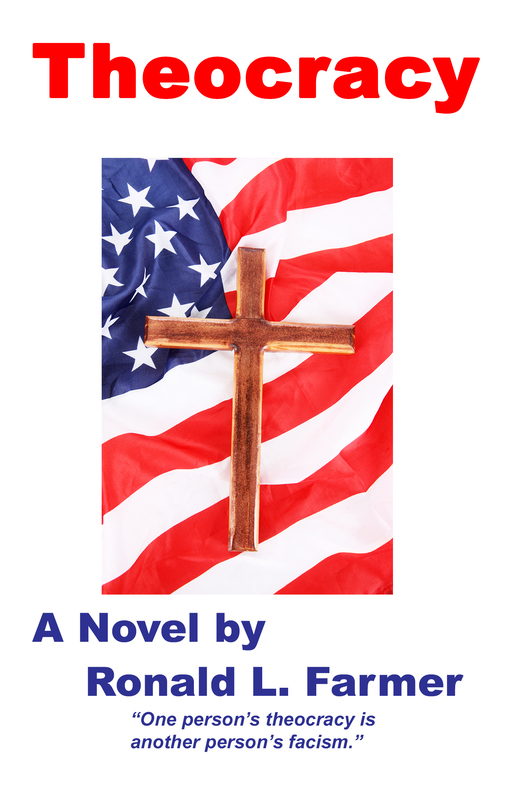 Most of the essays in this collection were originally read at an international conference on “Images of Jesus” at Chapman University in the autumn of 1999. My essay sets forth what I believe are three important contributions process theology can make toward interpreting the nature and significance of Jesus of Nazareth. 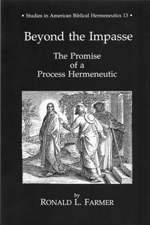 I also provide a brief explication of process theology in order to show the context in which my Christological proposals are both intelligible and plausible. At the turn of the century, questions about the identity and work of the historical Jesus continue to engage scholars and interest general readers. In this provocative collection of essays, conservative and liberal theologians and scholars engage one another in dialogue about the place of faith, the nature of history, the character of literary texts, and the purpose of theology. Some of the essays focus on the historical context of Jesus’ life, while others focus on the ways that the later Christian church established belief in Jesus’ life and work as a proof of faith. . . . . These thought-provoking essays offer a survey of the best in historical Jesus scholarship and contemporary Christology. “Undercurrents and Paradoxes: The Apocalypse to John in Process Hermeneutic.” Readings in the Book of Revelation: A Resource for Students. Ed. David L. Barr. Atlanta: Society of Biblical Literature, 2003. This collection of essays reflect the interpretative strategies of a group of scholars who worked together for over a decade as members of the Society of Biblical Literature Seminar on Reading the Apocalypse: The Intersection of Literary and Social Methods. My essay presents two reading strategies drawn from process philosophy to explore John’s understanding of two radically different manifestations of power (coercion and persuasion). 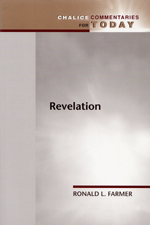 Reading the Book of Revelation is a wide-ranging introduction to the interpretation of the Apocalypse. Each chapter provides an overall reading of Revelation that grows out of a particular methodological approach. The primary approaches include historical, literary, and social analysis, which are then used in combination with other reading strategies, including social-conflict theory, philosophy, women’s studies, ethics, history of religions, postcolonial studies, and popular culture. Each of the essays focuses on a specific text from Revelation and shows how the method used helps interpret that text and how diverse methods produce divergent readings of a text. . . . Developed as a resource book for undergraduates, this work will also prove useful to graduate students, religious leaders, and others who wish to explore how methods shape our understandings of texts. “Imagination and the Art of Interpretation: Reading Scripture and Tradition for the Sake of the World.” Replanting Ourselves in Beauty: Toward an Ecological Civilization. Eds. Jay McDaniel and Patricia Adams Farmer. Process Century Press, 2015. “We live in an extraordinary moment in history—an oddly beautiful time—painted with the starkly contrasting colors of undeniable loss and rich possibility. The University is rife with freshness, and we are part of the adventure: part of the urgent call to return to the wisdom of the Earth and replant ourselves in Beauty.” So write the editors in their introduction to this rich collection of essays by scholars, writers, artists, activists, educators, and clergy who have been influenced by the thinking of Alfred North Whitehead. Coming from a variety of cultural and religious traditions, the essays are all about the Beauty that flourishes in the fertile soil of sustainable community, relational thinking, imagination, creativity, the arts, stories of everyday people, as well as in our creative action toward the healing of our planet. “Imagination and the Art of Interpretation: Seeking to Embody Schweitzer’s Reverence for Life Ethic.” Invest Your Humanity: Celebrating Marvin Meyer. Eds. Julye Bidmead and Gail J. Stearns. Pickwick, 2016.